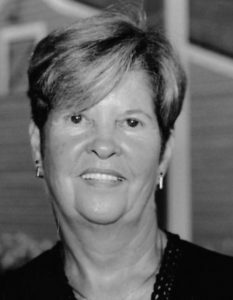 Shrewsbury – Eleanor J. Hoyt, 79, of Shrewsbury and formerly of Westport, Conn., passed away peacefully July 19, 2018 at her home, surrounded by her family. 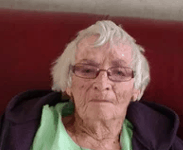 She was the beloved wife of 57 years to David B. Hoyt. Born in Cambridge, she was the daughter of the late Thomas and Violette (McMann) McSorley. She was a graduate of Belmont High School and earned her Associate’s Degree at Westfield State University. Prior to retirement, she was employed as a medical secretary for Stewart Bender Dermatology. Mrs. Hoyt enjoyed shopping, traveling, boating, playing tennis, her word search puzzles and eating jelly beans. She had an exceptional love for the time she spent with all her family. In addition to her husband, she is survived by her three children, Kenneth B. Hoyt of Westborough, Scott L. Hoyt and his wife Shelia of Stratham, N.H., and Wendy J. Hoyt of Norwalk, Conn., and eight grandchildren, Jessica, Ashley, Morgan, Kendall, Payton, Rylee Hoyt and Jack and Jed Saltus. Her funeral service was held July 23 in the Pickering & Son Westborough Funeral Home, 62 West Main St., Westborough. In lieu of flowers, donations in her memory may be sent to the American Lung Association of Massachusetts, 1661 Worcester Rd., Suite 301, Framingham, MA 01701 or by visiting www.lungne.org, or to the MSPCA, 350 South Huntington Ave., Boston, MA 02130 or by visiting, www.mspca.org.